The Thames is one of the true natural highlights of London and it stretches for miles. 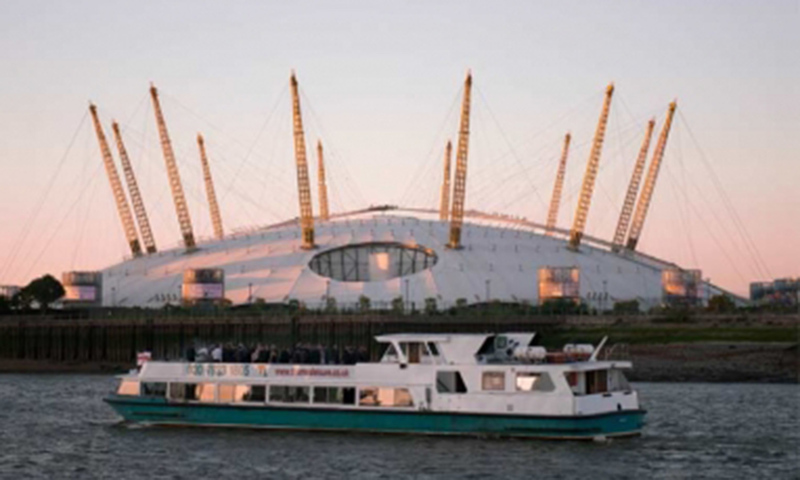 Chartering a boat for your event in London is simply the best way to experience it. It may be one of our sumptuous seated dinners that fit the bill for your group while cruising the twinkling city at night; or mixing a delicious and informal Finger Buffet with some cocktails; perhaps a long Friday Lunch to finish the week as a company treat; or how about Afternoon Tea, possibly on board before opening Tower Bridge. Seeing the capital city from a different perspective, a cruise can provide a unique way to entertain your guests. From a daytime lunch or afternoon tea to a reception or full formal seated dinner with boats available to accommodate dance floors, we have a variety of boats to suit your needs. If you have an idea for an event get in touch and we can arrange the best boat to suit your needs. We have a variety of private charter boats available to suit most group sizes. Depending on the group size we can arrange various embark and depart points. If you're looking for a comfortable and affordable river cruise down the Thames then you've come to the right place. Sailing Barge Will is the perfect, small venue for corporate entertaining, team building, and intimate parties. Onboard facilities include PA system, multimedia projector and screen, and sound system with MP3 connection. She will charm and impress your guests with her luxurious mahogany paneled saloon for entertaining groups up to 50. Tideway features as the smallest member of the Thames Leisure Fleet and makes hiring a boat on the Thames easy. She is a compact twin decked vessel that offers both comfort and versatility on the water. Whether it’s a special event for 25 or a birthday celebration for 85, Tideway’s intimate surroundings offer a highly personalised and familiar environment to entertain guests while experiencing the majesty of the Thames and formidable views of London. Tideway is also very suitable for transporting groups up and down the Thames to special events. Spread over two decks, you will find that the Tideway is an incredibly versatile vessel. At the bow there is an open area with seating for around 20 of those wishing for a quiet moment or simply to drink in the river!